Manchester has become the largest city outside London to have a live commercial smartcard scheme on buses using the government’s preferred ITSO technology. Launching StagecoachSmart in Manchester today (30 June), Local and Regional Transport Minister Norman Baker said: “This initiative will make bus travel simpler and more attractive, cut carbon and encourage more people out of their cars and onto buses. Baker’s vision is to have all public transport covered by smartcard technology by 2020. The scheme, using a system by Vix ERG, allows Stagecoach bus passengers to store their travel on an electronic card instead of using paper tickets. It also offers customers the chance to pay for their travel through hassle-free automatic payments. More than 200,000 smartcard transactions are now made on Stagecoach’s bus and rail services each day. The company has installed smartcard readers on its entire fleet of 7,000 buses outside London, while its 1,400 buses in the capital all accept Transport for London’s Oyster Card. Stagecoach also has concessionary travel smartcard schemes in place in both Scotland and Wales and is rolling out ITSO smart ticketing at railway stations in its South West Trains and East Midlands Trains franchises. Passengers in Manchester will now be able to sign up to the company’s new Megarider Xtra ticket, which allows monthly payments to be debited from the customer’s bank account on an agreed date each month, meaning they no longer have to renew their ticket manually. 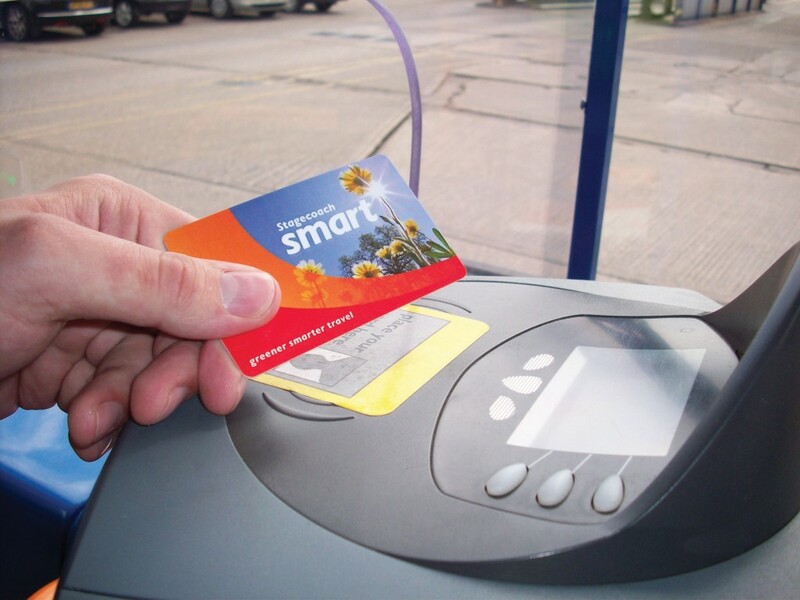 The customer’s Megarider Xtra ticket is stored on their StagecoachSmart travel card and remains valid for travel until the payment is cancelled.